It’s 11.47pm, it’s a week night, you’re four sets in to an Australian Open epic, and all of a sudden the match has gone to a fifth set. You’ve already invested too much time into the match to simply head to bed so you give yourself a little slap to wake up, tell yourself work is your future self’s problem, and you knuckle down for the fifth set. But fatigue is as much a problem for the TV viewer as it is for the men and women on Rod Laver Arena, so as official salmon supplier to the Australian Open Festival, we’re here to set you up with an entertaining regime that will have you serving at high speeds deep into the final set. The longest ever men’s singles match in history, between John Isner and Nicolas Mahut, went for a staggering 11 hours and 5 minutes over 3 days at Wimbledon in 2010. It’s safe to say in this case it’s important to start strong in the first set, take in some good omega 3s, and prepare the body for the battle ahead. 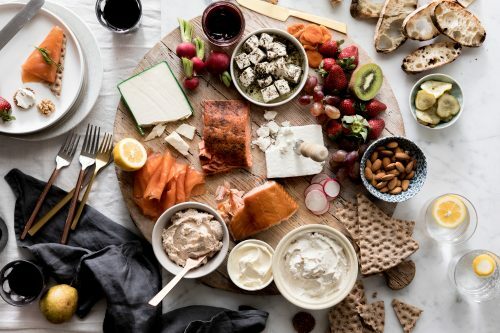 This is a good opportunity to pick at multiple Huon Salmon options so lay out your favourites on a platter and let everyone dig in. Try Michelle Crawford’s Instagram worthy platter for inspiration! You could put together your own hamper in our online store or pick one already created for you. This should keep you, the family, and any guests you’re hosting satisfied as the match begins. The longest women’s singles match in history saw Vicki Nelson defeat Jean Hepner at a tournament in Virginia in 1984. The match lasted 6 hours and 31 minutes and even featured a 29 minute, 643 shot rally! We recommend eating your Huon Salmon main in the second set. You’ve got just enough time to prepare it at the end of the first and it’ll give you that hit of omega 3s required if the match goes the distance. 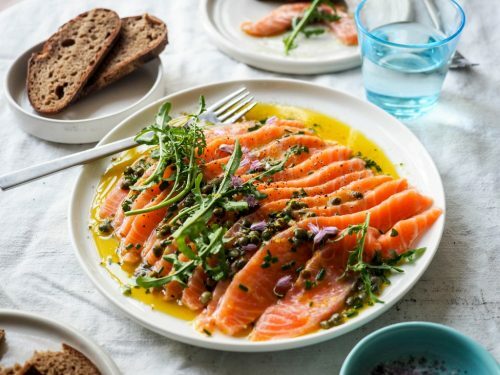 For simplicity, speed and a meal that won’t weigh you down, try our Huon Salmon Carpaccio recipe. You can always purchase fresh fillets ready to slice from us direct or from your closest Huon Salmon stockist. It’s hard to know where to go after mains, and whilst we’d recommend a little frosty fruit to cleanse the palate we think the third set is an opportunity for late snacking to keep the energy up. Simple Huon Salmon Kung Pao wraps should do the trick. They take all of 10 minutes to prepare and will ensure you have plenty of energy to take into a potential fourth and fifth set. Let’s be honest, by this time fatigue is setting in and the lactic acid in the legs is starting to burn because you’ve spent so much time with them crossed over one another and rested up on a footstool. That’s what happened to our boy Lleyton Hewitt in the classic five setter against Marcos Baghdatis at the Australian Open in 2008. Two sets to one up he fatigued and lost the fourth 6-7 in a tiebreaker (7-4). He famously went on to win the fifth set and the match at the ridiculous time of 4.33am on a Sunday morning! At least we didn’t have to head to work that day! Keep it simple in the fourth. 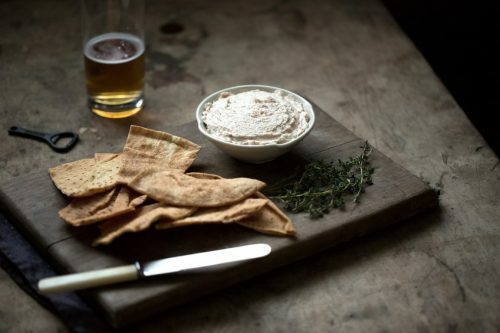 Devour some Huon Salmon Pâté with crackers because let’s be honest, at this point who can be bothered with the effort of cooking. If you’re still watching, it’s late. Really late. Your nerves are shot, you’re longing for bed but your desire to see Federer win one more match at a Grand Slam is spurring you on (if only to see his heartfelt winner/runner up speech!). In fact it’s getting so late it’s almost breakfast time and we’ve got you covered for that as well. 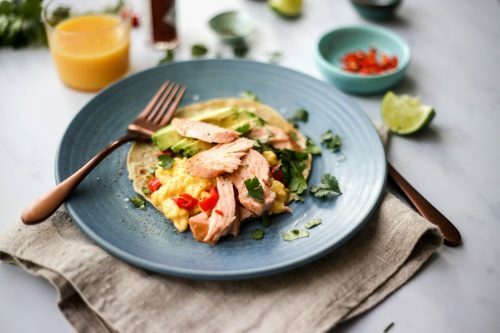 Try our Huon Salmon Breakfast Burrito recipe to prepare you for that horror next day of work. But chin up – there’ll be more Australian Open tennis waiting for you on the couch when you get home.